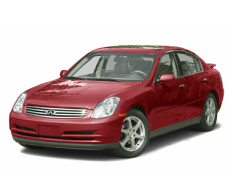 Correct Wheel Sizes, PCD, Offset, Rims and Tire specs for Infiniti G series. 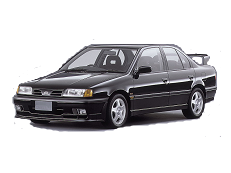 Just looked on maximum rims size for my G and noted you have different values for the same V35 body. Hello, Igor! What the exact size you're talking about? v35 body has 2 updates with new engines and a bit different tire sizes. Unfortunately we can not add all possible wheel sizes, but we try to give full factory information about rims and tires. Thank you! 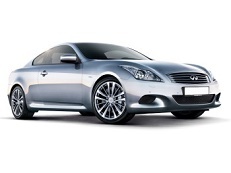 The Infiniti G coupe and sedan have different wheel fitments. The coupe has staggered wheel fitment while the sedan does not. Hello, Robbie! Thanks for the info, just take a look now! Non-sport G37 coupe may come with squared setup, 18" rims, 245/45 R18 tires, if they do not have the sports option. 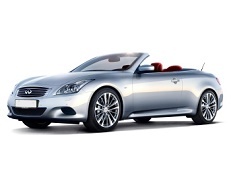 Hi,Mr Mer,The stock rims for G37 coupe is 19inch wheel,I suggest that you'd better use 19 inch wheels and tire. Hi, Mr Mer! Thanks for the information, we have already fixed it. 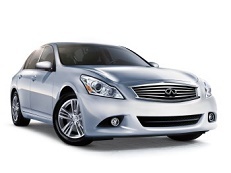 What about the 2011 G37 x 4 door 17 inch rims? Hi,Steve,The stock rims size for your car is 18inch,I suggest that you'd better use 18''-20''wheels,but if you only have 17‘’,you can try it. 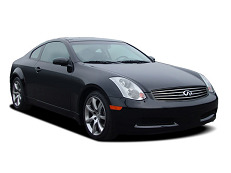 Dose Infiniti g35 rims fit on a Infiniti fx45? 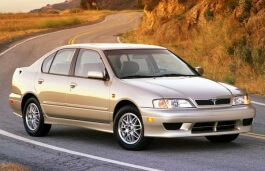 2002 G20 Base sedan had 195/65/15. But the Sport version had 205/50R16 tires, and the wheels were 16 in. Hi,Glen,Yes.16'' is accessible.You can go to https://www.wheel-size.com/pcd/ and https://www.wheel-size.com/tire/ to use your current wheel and tire size to confirm which one you can use.